This is an "ambigrammatic" tattoo. What it says depends on how you look at it. 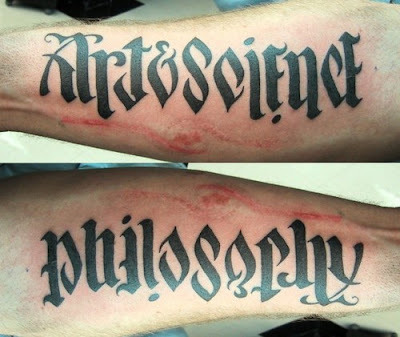 One way, it says "philosophy"... turn it upside down, it says "art & science."